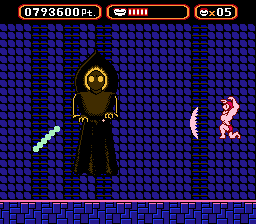 This is the English translation of the Japanese NES game Suddenly! 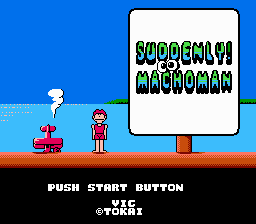 Machoman. The US version of this game is Amagon. 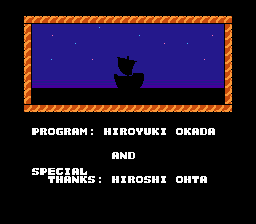 The Japanese version has an extended ending and credits after you escape the island. 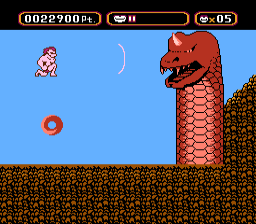 In the US version, you just get the image of the character with the message: "You survided your mission. The End..."